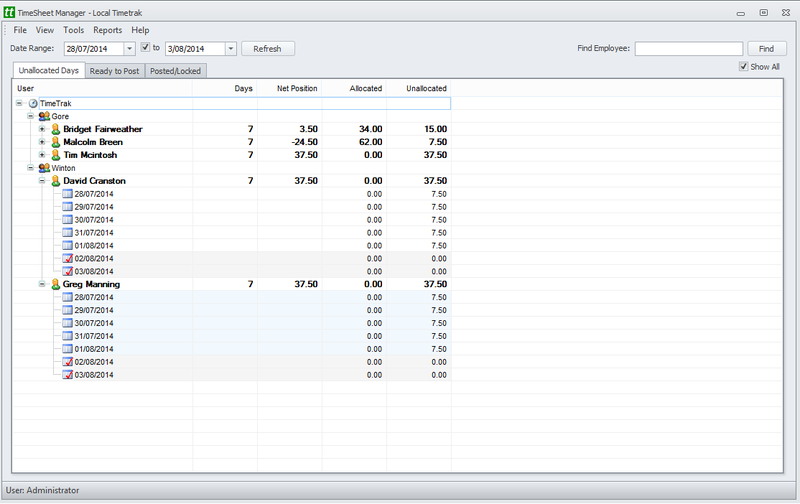 TimeSheet Manager is a fast entry system for manual timesheets that uses the same business rules as TimeTrak. 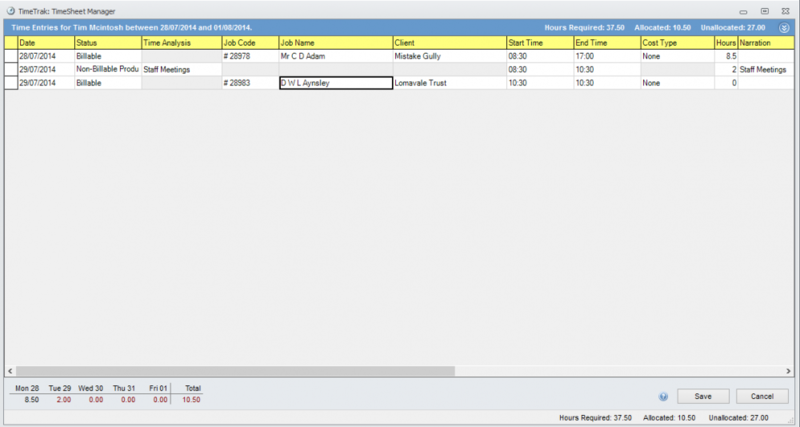 Using the same database as TimeTrak, it allows a business to have staff that are processing their own timesheets electronically as well as admin staff keying the manual timesheets. Easily track time, materials and costs spent on projects for better insights and improved forecasting and planning, while providing productivity reporting and analysis. This flexible timesheet solution allows your team to enter single, multi-day or weekly timesheets, depending on your business processes or requirements. TimeSheet Manager posts time, materials and narrations to your ERP and payroll system. It automatically calculates over-time, preloads commonly used disbursement or stock items, and provides compulsory field entry and managers full timesheet completion. TimeSheet Manager also creates the export file for Payroll Integration, currently we support IMS Payroll, MYOB Payroll, MYOB Exo Payroll and Wage Easy. Time and materials will be synchronised with your ERP system, streamlining your billing process and saving you administrative time. Generate reports based on jobs, clients, materials, assets or staff members. Keep up to date with what is going on in your company.